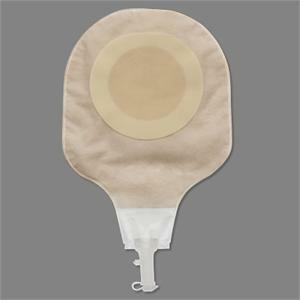 Size: Select Size 80110 - up to 4 1/3" 80070 - up to 2 3/4"
This non-sterile, drainable pouch has Flextend extended wear flat barrier, Soft Tap, access window, odor-barrier film and ComfortWear Panel on body side only. Pouch is 12" long and clear. 80070 - up to 2 3/4"
80110 - up to 4 1/3"
10 Pouches per box, sold by the box.